I have been blessed to have the opportunity to be exposed to the arts including dance, singing, drawing, acting, playing the piano, saxophone and guitar. This has helped me connect with my creativity and discover all the possibilities in the world. I believe that every child should have this same opportunity. Unfortunately many families today are not able to provide access to the arts for their kids. Those kids lose out on the benefits like doing better in school, having strong problem solving and critical thinking skills, being creative and innovative, doing better on standardized tests and getting into better colleges, having cultural awareness, and developing the skills to collaborate and get along well with others. These are all the skills they need to be successful adults. US students are falling behind kids in other countries in their academic performance we need to reverse that trend by helping our kids experience the arts and all the benefits that come from it. There is something in it for all of us! This charity will raise funds in order to undertake activities designed to raise awareness of the importance of the arts to the development of children and society in general. The goal being to create access to the arts for children and individuals who might otherwise not have the opportunity to participate in the arts and receive the benefits that such participation affords them. Activities will include fundraisers and solicitation of goods and services that will help children/individuals participate in the arts. Some examples include; dance shoes and clothes, art supplies, and production of awareness materials. Others goods and services might include dance instruction, the provision of facilities for fundraisers and/or workshops. Awareness activities will also include participation in meetings and events that will raise awareness of an arts education and the work of this charity. 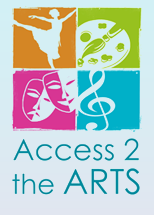 Goods and services will be provided to individuals in order to allow them to participate in the arts. This could include the provision of dance shoes/clothes, free dance workshops, art supplies or tuition payments to dance/vocal/acting/art/etc. schools for lessons or workshop experiences. Programs will include either an application for services and/or teacher recommendation/referral to receive services. Selection criteria will include both need and aspiration or motivational qualities to insure individuals who will benefit most are selected to receive services.